The Committee against Torture (hereinafter – “the Committee”), presided over by Mr Claudio GROSSMAN1 , began its consideration of the third and fourth periodic reports submitted by Sri Lanka pursuant to Article 19 of the Convention against Torture and Other Cruel, Inhuman or Degrading Treatment or Punishment (hereinafter – “the Convention”) on 8 November 2011, in the morning, in Geneva, in the headquarters of the United Nations High Commissioner for Human Rights in Palais Wilson with a nice view over Lake Léman. The Sri Lankan delegation was introduced by Her Excellency Tamara KUNANAYAKAM, Ambassador, Permanent Representative of Sri Lanka at the United Nations Office in Geneva. The delegation was led by Mr Mohan PEIRIS, Senior Legal Advisor to the Cabinet of Ministers of Sri Lanka and former Attorney-General. It also included Messrs W.J.S. FERNANDO and A.H.M.D. NAWAZ, Deputy Solicitors General at the Attorney-General’s Department, and Mr M.A.M. NAVAS, Acting Director (Legal) at the Department of Police, as well as several Geneva-based Sri Lankan diplomats. Mr Peiris took the floor to present the report. He noted at the outset that the armed conflict in Sri Lanka had mercifully ended, and the country was now on its way to recovery. The conflict posed unprecedented challenges to the authorities. But now the authorities’ mission is to maintain law and order, implement the ambitious national development plan, and pursue civil peace. In the submission of Mr Peiris, in May 2009 the terrorism was defeated in Sri Lanka, and the process of re-building the fractured nation began, accompanied by the renewed hope but also the new challenges. The authorities’ focus in this process is on rehabilitation, reconstruction, and reconciliation. Domestic home-grown solutions are being used in this process. Sri Lanka’s human rights commitments were evidenced by the invitations extended to the UN Special Rapporteur on Torture who visited Sri Lanka twice. Mr Peiris assured that Sri Lanka had never sought to invoke any justification for torture, and that the authorities maintained the policy of “zero tolerance” of torture. Absolute right not to be tortured is enshrined in the respective constitutional guarantee. Mr Peiris argued that Sri Lanka’s progress in the fight against torture had in many areas been exemplary. In 2009 the Sri Lankan authorities commenced the process of formulation of the national plan for the promotion and protection of human rights. That plan includes eight thematic areas, torture being one of them. Civil society is included in the drafting process. Outcome of the universal periodic review is also used. The action plan includes measurable indicators in order to ensure the proper monitoring and evaluation. The draft composite plan has recently been submitted to the Cabinet of Ministers of Sri Lanka. The directorate on human rights and international humanitarian law has been established in the Sri Lankan Army. Likewise, the human rights division has been established in the Sri Lankan Police Department. Sri Lanka’s commitment to eliminate torture has been evidenced by the evacuation of the civilians in the final stage of the armed conflict in 2009, as well as the rehabilitation, reinsertion, and reintegration of ex-combatants and internally displaced persons. The Lessons Learnt and Reconciliation Commission has been established to ensure the era of peace, harmony and prosperity for Sri Lankan people, and that the internal armed conflict never recurs. The focus of that commission is on restorative justice. It conducted the public sittings in Colombo and the areas affected by the armed conflict. The commission is due to report to the President shortly. It is supposed to contribute to the task of forging common Sri Lankan identity. The authorities attempt to bring about a paradigm shift. For example, the idea of establishing an office of an investigating magistrate is on the table. Emergency Regulations is now thing of the past. However, Mr Peiris readily admitted that there was much more to do. He assured that the Sri Lankan authorities were sensitive of the human rights context, and that their desire was not to pay lip service to the international obligations of Sri Lanka but to ensure the real progress in their realisation. Mr Peiris concluded by the following: “We look forward to the constructive interactive dialogue with the Committee”. The President of the Committee invited the co-rapporteurs of the Committee on Sri Lanka, Ms Felice GAER2 and Mr Alessio BRUNI3, to pose their questions to the delegation of Sri Lanka. Ms Gaer pointed out that she was pleased to welcome the distinguished delegation of Sri Lanka in Geneva. She emphasised, however, that the Sri Lankan report to the Committee had been two years late. She then went on to say that the Committee had received extensive allegations of torture and ill-treatment in Sri Lanka, including enforced disappearances, sexual violence, unacknowledged detention, lack of investigations, etc. She pointed out that the Convention cannot be effectively implemented without the rule of law. She stressed three worrying trends, including the lack of data, the lack of independent investigations and prosecutions, and the continuing threats to civil society, journalists, lawyers, and other dissenting voices. She said that only scant data had been provided by the Government of Sri Lanka to the Committee in response to the questions contained in the Committee’s list of issues. She went on to repeat the questions concerning the safeguards against torture contained in the point no. 2 of the list of issues. She requested clarifications on the enforceability of the Presidential Directives referred to in the report. She requested practical information on the monitoring activities of the National Human Rights Commission and the magistrates accompanied by the concrete data including the statistics on the number of the complaints lodged with the National Human Rights Commission and their outcome. She requested data on the availability of Tamil-speaking interpreters. She requested information on the location of legal aid officers. In connection with point no. 4 of the list of issues Ms Gaer asked who would order the medical examination of the detainees and within which time-period such examination would be conducted. She asked whether judicial medical officers are required to issue their reports to the torture survivors or their next-of-kin. She inquired about the number of successful habeas corpus complaints. She asked a range of questions about the modalities of the administrative detention pursuant to the Prevention of Terrorism Act and requested information on the total number of people detained under that Act. Having noted that Sri Lanka has the biggest amount of cases of disappearances registered with the UN Working Group on Enforced or Involuntary Disappearances (hereinafter – “the Working Group”) than any other country in the world, Ms Gaer invited the delegation to comment on the allegations of undisclosed detention centers in existence in Sri Lanka, and secret detention facilities run by the Sri Lankan Army. Ms Gaer touched upon the issue of intimidation of lawyers. She mentioned the case of Amitha Ariyaratne who allegedly faced death threats from the police in 2009, and emphasised that Sri Lanka was under the obligation to investigate even in absence of the formal complaint. She also referred to the attack on Mr Weliamuna, and defamatory publications against the lawyers in which the latter were labelled as traitors (especially one at the website of the Ministry of Defense). She again requested the information on the number of complaints lodged with the National Human Rights Commission and their outcome. She questioned the independence of the National Human Rights Commission given that its members are solely appointed by the President. Ms Gaer requested information on the number of custodial deaths and deaths in encounters with police, and investigations into such deaths. She asked whether the report of the Lessons Learnt and Reconciliation Commission would be published. Ms Gaer also asked how many indictments were made under the CAT Act. Ms Gaer had much more to say but was interrupted by the President Grossman who gave the floor to Mr Bruni. Mr Bruni started by warmly welcoming the representatives of Sri Lanka. He asked whether Sri Lankan authorities were still considering making declarations under Articles 21 and 22 of the Convention (possibility of lodging communications with the Committee, by the States and individuals, respectively). He referred to 322 cases reported and precisely documented by the Asian Human Rights Commission, and how this was consonant with the “zero tolerance” policy advocated by the Government. He also referred to the report submitted to the Committee by the organisation “Freedom from Torture” (London) and numerous allegations sent to the Special Rapporteur on Torture. Mr Bruni asked about the resources allocated to the National Human Rights Commission. He asked whether the Commission visits the places of detention including military camps. He referred to the surprise visit made by the National Human Rights Commission to the Mount Lavinia police station on 15 August 2011. Several persons detained there for more than seven days and allegedly tortured were found at the premises of that police station. Mr Bruni inquired about the outcome of that sudden visit, in particular, whether it led to any prosecutions. Mr Bruni asked about the effectiveness of the human rights training programmes for police, in particular, whether the Istanbul Protocol was used. He asked for the examples of the unannounced visits by the magistrates to the places of detention. Like Ms Gaer, Mr Bruni asked to provide information on a number of persons detained pursuant to the Prevention of Terrorism Act, as well as the conditions of their detention. Mr Bruni mentioned so-called “rehabilitation programmes” for the ex-combatants given that the Committee had received a flood of negative information about those programmes. Is it possible for the ex-combatants to decline the so-called rehabilitation? Mr Bruni explained that many non-governmental organisations informed the Committee that the so-called rehabilitation centers were in fact detention facilities with deplorable living conditions. He therefore asked the delegation what had been done to improve those conditions. Mr Bruni touched upon the issue of overcrowding in Colombo remand prison. He asked about the measures envisaged in order to reduce overcrowding there. He asked about the rate of occupancy of cells in that remand prison. He inquired as to whether the independent investigation body would be established in Sri Lanka. Mr Bruni asked for examples of the disciplinary proceedings brought against the police officers allegedly implicated in torture. Mr Bruni mentioned the report by Amnesty International on the ineffectiveness of the Lessons Learnt and Reconciliation Commission. He asked whether the involvement of the international fact-finding body was envisaged. He asked for the governmental comment on the torture methods allegedly used in the Boza prison. Mr Bruni then said that he was forced to skip the questions on Article 14 of the Convention. Mr Bruni referred to the fact that the inquiry conducted by the Committee pursuant to Article 20 of the Convention found that torture had been frequently resorted to by the paramilitaries associated with the Government. He therefore asked for any follow-up with regard to that concern. Whether any paramilitaries were prosecuted for torture? Questioning was continued by Ms Essadia BELMIR.4 She raised an issue of the independence of the judiciary in Sri Lanka, in particular, in the context of the appointments and removals of the magistrates by the President, as well as arbitrary transfers of the judicial officers. Her question essentially was whether the separation of powers existed in Sri Lanka. Ms Belmir also questioned the true nature of the Presidential Directives referred to by the Government of Sri Lanka in their report to the Committee. She also mentioned the problem of the delays of justice and urged the reforms of the judicial system capable of ensuring its independence and fair trial. Another question from Ms Belmir concerned the separation of males from females and of adults from children in the places of detention. She also mentioned the long duration of pre-trial detention in Sri Lanka. Ms Nora SVEAASS5 took the floor and asked the delegation what had been done in Sri Lanka to guarantee the independence of the judiciary. She continued the line of questions commenced by Mr Bruni about the so-called rehabilitation centers and asked how many detainees are in those centers voluntarily and how many of them are there pursuant to the court orders. She asked whether it was true that the detainees were brutally handled in the rehabilitation centers and whether any possibility of redress for victims existed, including psychological damage. Ms Sveaass also developed the theme of gender-based violence and inquired whether there would be any investigation into such crimes. Do the victims of gender-based violence have any possibility to seek redress and assistance? She also touched upon the obligations flowing from Article 14 of the Convention and whether compensation for torture is paid. She requested detailed statistics in this connection. He then turned to the issue of police interrogations: how do they progress? who is present at those interrogations? are they being taped? He also mentioned the problem of incommunicado detention. Mr Mariño Menendez then referred to the institution of the Attorney-General in Sri Lanka. He mentioned the position of the Asian Human Rights Commission about the changed role of the Attorney-General during the tenure of Mr Peiris – head of Sri Lankan delegation before the Committee, and that the Attorney-General now defends possible perpetrators of torture instead of protecting the torture victims. He asked for the first-hand account on this issue. Mr Mariño Menendez posed the question about the competence of the military justice system. Mr Abdoulaye GAYE8 took the floor. He asked about the problem of the lack of judicial intervention in the extradition proceedings and how it was compatible with the principle of non-refoulement. His other question concerned the issue of inadmissibility of proof obtained through torture (Article 15 of the Convention), whether this principle is clearly recognized in Sri Lankan law. Ms Myrna KLEOPAS9 joined the others in welcoming the Sri Lankan delegation but went on to express her concern that impunity was a rule in Sri Lanka rather than an exception. She referred to the recommendations contained in the report of the UN Panel of Experts on Accountability in Sri Lanka made public on 25 April 2011. She asked whether those recommendations had been taken by the authorities into account in formulating the national action plan. Mr WANG Xuexian10 declared that terrorism could not be tolerated and encouraged the implementation of the national action plan on human rights. He then mentioned a number of allegations of extrajudicial killings including an unnamed 7 years-old boy who was allegedly gunned down in a market. Mr Wang inquired whether an investigation ensued. The session was wrapped up by Mr Grossman. He asked for the list of cases decided by the Supreme Court of Sri Lanka allegedly expanding the statutory definition of torture. He asked about the punishment for torture applicable in Sri Lanka. He went on to on ask about the legal grounds to keep people in detention after the repeal of the Emergency Regulations. He asked about the outcome of habeas corpus petitions and the gender and ethnic balance in the Sri Lankan judiciary which is very important, in the submission of Mr Grossman, for the legitimacy of the judicial power. Mr Wang then referred to the report of the Asian Human Rights Commission in the part concerning the immunity from suit granted to the executive branch of power in Sri Lanka. He also posed the questions about the prevalence of the human rights phenomenon of disappearances in Sri Lanka including the abductions of the internally displaced person who especially find themselves in the position of weakness. Mr Wang asked how many indictments have been filed pursuant to the CAT Act. He further asked the delegation whether the Government of Sri Lanka is considering ratification of the new International Convention for the Protection of All Persons from Enforced Disappearance, the Optional Protocol to the Convention and the Rome Statute of the International Criminal Court, as well as making declarations under Articles 21 and 22 of the Convention. He also asked whether the Government is contemplating new visits by the special procedures of the UN Human Rights Council. That was the end of the first round of questions by the Committee members. Mr Peiris assured the Committee that the Sri Lankan delegation would take on board all matters raised by the Committee with full sincerity and that all those matters would be addressed by them with openness. He said that both the delegation and the Committee had a common objective, namely to make Sri Lanka an ideal place to live. Mr Grossman closed the meeting. In absence of Mr Grossman, the meeting of the Committee on 9 November 2011, in the afternoon, was presided over by Mr Wang, Vice President of the Committee. Mr Peiris then said that it was indispensable to provide the Committee with some background. He assured the Committee that the delegation had given their earnest consideration to all matters raised by the Committee members. Mr Peiris went on to cite the provisions of the Constitution of Sri Lanka mandating the Government to promote international peace and security, respect for international law and treaty obligations. He then referred to the absolute prohibition of torture, cruel, inhuman and degrading treatment contained in the fundamental rights’ chapter of the Constitution (Article 11). He then went on and on citing the various constitutional provisions and the case-law of the Supreme Court of Sri Lanka on the right to life and the grant of reparations for ill-treatment suffered including those rendered by Justice Mark Fernando. Mr Peiris then went as far back into the history as 1884 citing various statutory provisions. He referred on numerous occasions to the Constitution and Criminal Procedure Code of Sri Lanka. He explained that the Criminal Procedure Code provided for the legal framework in order to implement the constitutional safeguards. After recounting some totally irrelevant stuff Mr Peiris pointed out that it was obvious to everyone even when he himself had been in his nappies. The Committee met this brilliant joke with silence. Mr Peiris then cited the case-law of the European Court of Human Rights on the reversal of the burden of proof in torture cases. He attempted to defend the provision that there was nothing wrong in use in the criminal proceedings of the statements given by the accused without his or her lawyer being present. He conceded accordingly that there was no right for a lawyer to be present in a police station under Sri Lankan law, but that its introduction into the legislation was being considered. He informed the Committee that the Government of Sri Lanka was considering establishment of a duty attorney scheme, as well as an institution of the investigatory magistrates. On 11 June 2009 the Inspector-General of Police issued a circular no. 2178/2009 on the police officers’ way of interaction with the lawyers. It led, in the submission of Mr Peiris, to the marked improvement of the overall situation. As to the status of the Presidential Directions, Mr Peiris remarked that any non-compliance with them would be visited with strong sanctions. He further assured the Committee that no criminal trial in Sri Lanka would ever commence without the interpreter being available. He confirmed that there was a dearth of interpreters and suggested that it was an area where additional capacity building would be necessary. He regretted that there were no more trilingual (English-Sinhala-Tamil) interpreters available. He then said that in the North and in the East of the country the court proceedings were conducted in the Tamil language. As to the functioning of the National Human Rights Commission, Mr Peiris gave no data to the Committee referring to its non-availability as the Commission is an independent body. He said that there were 765 persons in administrative detention, they are provided with medical treatment by an in-house doctor, family visits, recreational and religious facilities, visits by the International Committee of the Red Cross (they conducted 5 visits in 2010) and the National Human Rights Commission. He then cited some legislative provisions on the status and independence of the National Human Rights Commission. He promised to provide the Committee with additional data contained in a separate schedule. He then quoted numbers of the fundamental rights’ petitions lodged with the Supreme Court every year. As to the medical examinations, Mr Peiris confirmed that no police officer was allowed to be present when a suspect is being examined by a judicial medical officer. The latter does not issue a receipt to the patient, the medical reports are kept confidentially in the custody of judicial medical officer before being submitted to the court, when required. As to the writ of habeas corpus, Mr Peiris very helpfully explained that it was an old legal mechanism coming from English law, he explained that this writ was not fashionable today because of the availability of the fundamental rights’ litigation. As to the rehabilitation centers for ex-combatants, Mr Peiris acknowledged that the choice the people faced was either to go to the rehabilitation centre or to go to the jail. He emphasized that Sri Lanka had opted for restorative justice rather than purely retributive justice. He said that there were 689 persons detained in rehabilitation centers, but with a new peaceful dawn in Sri Lanka this number is constantly decreasing. As to the number of cases pending before the Working Group, Mr Peiris explained that most of them are from 1980s, the time-period of the JVT insurrection and Northern insurrection. Mr Peiris then said that every person may petition the Lessons Learnt and Reconciliation Commission for issuance of a death certificate in respect of a missing relative. He went on to explain that the mandate of the Lessons Learnt and Reconciliation Commissions would soon be terminated. Order to detain pursuant to the Prevention of Terrorism Act is amenable to judicial review by way of writs for certiorari and is subject to fundamental rights’ litigation. Judges can exercise their discretion and impose sentences lower than minimal statutory threshold. Any attorney-at-law may meet with a detainee, police officers would be present during such an interview, but in the hall rather than in the immediate vicinity. He explained that it was in fact the same situation in England where such meetings are recorded with CCTV cameras. The police officer in a hall is indispensable in order to ensure that nothing unusual happens during the interview. As to the status and activities of the National Human Rights Commission, Mr Peiris repeated that they were permitted to visit all places of detention. Mr Peiris affirmed that there were no unverified detention centers in Sri Lanka. List of all gazetted detention centers is available at www.document.gov.lk. Database on detainees is available for every person who is next-of-kin. But many detainees do not want the data on their detention to be disseminated. The National Human Rights Commissions also keep the database built by the United Nations Development Programme. Mr Peiris said that Amnesty International was wrong and there were no secret detention centers in Sri Lanka. There is no shortage of the official detention centers in Sri Lanka. All information on the detention centers was published in the Official Gazette for 14 July 2011 and 30 July 2011. Touching upon the issue of the threats to lawyers, Mr Peiris confirmed that the police officers implicated had been transferred out and disciplined by the Inspector-General of Police. Overzealous police officers have been dealt with. In particular, 44 police officers were indicted in 2006-2011, some more cases were recommended for the disciplinary proceedings. There is a very small number of complaints about the enforced disappearances in Sri Lanka, if one agrees with the estimates of Mr Peiris. As to the torture cases, Mr Peiris promised to make available a chart with gender and ethnic breakdown to the Committee. It is not clear whether this chart has been or is intended to be made public. Mr Peiris said a few words about the attack on the house of Mr Weliamuna. Mr Peiris referred to Mr Weliamuna as his “colleague” and to the attack itself as a “sad” event. He went on to explain that Mr Weliamuna himself was not capable of telling the authorities who was responsible for the attack. Mr Peiris said that the authorities denounced the attack but the investigation did not proceed. As to the attacks on the lawyers in the media, Mr Peiris expressed his hope that his colleagues would not be deterred by them. He said that those attacks had no impact on anyone’s practice and as such had nothing to do with the problem of torture. Concerning a seven-year old boy who was gunned down, Mr Peiris said that that particular event had nothing to do with the Convention as it was a shoot-out between the offenders and the police pursuing them, and the boy was unfortunately caught in cross-fire. As to the accession to the Optional Protocol to the Convention and the Rome Statute of the International Criminal Court, Mr Peiris explained that Sri Lanka was a dualist jurisdiction, therefore, recommendations of the Human Rights Committee were of no consequence for its legal order, that is one of the reasons why acceptance of the procedures under Articles 21 and 22 of the Convention still continues to be under consideration by the Government of Sri Lanka. It is not clear how in making that statement Mr Peiris connected the distinct issues of the accession to the Optional Protocol and the Rome Statute and making declarations under Articles 21 and 22 of the Convention. As to the national action plan on the promotion and protection of human rights, Mr Peiris once again said that it was developed following broad-based consultation. Mr Peiris then repeated that that plan had elements in respect of torture. He then said that the plan comprised goals, issues, activities, key performance indicators, timeframe, responsible agencies identified in respect of the implementation of the Convention. This official documentation will be published in December 2011. Mr Peiris concluded by saying that he was conscious of the fact that there remained some outstanding issues. Mr Wang welcomed the presentation by saying that he admired energy of the speaker (Mr Peiris) who was capable of speaking without a pause and without a sip of water. Ms Gaer then took the floor. She thanked the delegation for very interesting information but said that their responses had just hit the tip of the iceberg. She admitted that she was still left with many questions. She referred to the draft human rights action plan as a fine initiative but said that its implementation would be crucial. She said that there was not a single reference in the description of the plan to prosecutions, though prosecution of torturers is a central obligation under the Convention, if there is a reasonable ground to believe that torture had taken place, even in the absence of a formal complaint to that effect. Ms Gaer said that the Committee had no information as to what locations had been visited by the delegates of the International Committee of the Red Cross, and others. She mentioned her question on the list of detainees and other persons in the custody of the Government and asked the delegation to fill that gap (although that information was one of the few topics clarified by Mr Peiris in his presentation). As to the cases pending before the Working Group, Ms Gaer said that those had still not been clarified. The people are missing, and there have been many disappearances. She asked about the allegations of sexual violence against women at the end of the conflict. She also mentioned sexual violence in which the Sri Lankan peacekeepers in Haiti (MINUSTAH) had allegedly been involved. She asked about the investigations, if any, conducted into those well-founded allegations, as well as to provide the results of the investigation into the behavior of the Sri Lankan peacekeepers in Haiti. Were the individuals jailed, suspended, or dismissed? Mr Peiris interrupted and said that the whole issue of Haiti was completely new for the delegation as it had not even been hinted the day before. Mr Wang said that if the delegation could not respond to that question immediately, they would be able to respond to it later. Ms Gaer then returned to the question of the treatment and intimidation of civil society, human rights defenders, lawyers, and journalists. She pointed out that the response given by Mr Peiris to that question had been very brief. She then mentioned the killing of Mr Perera and that still no-one was held accountable for that crime, as the principal suspect is still working as a police officer. Ms Gaer then cited other cases referred to in the list of issues under this rubric. Ms Gaer explained that all those incidents created a sense of fear among the civil society in Sri Lanka whose normal functioning and ability to uphold the values of the Convention are central to the work of the Committee. Ms Gaer asked Mr Peiris to confirm the Government’s support of the work of the human rights defenders. Mr Bruni again referred to the possibility for Sri Lanka to make declarations under Articles 21 and 22 of the Convention, whether the Government is considering making them, as well as ratifying the Optional Protocol to the Convention. Mr Bruni then said that reality was very different from the legislative and administrative frameworks referred to by the Government, as amount of credible allegations of ill-treatment coming from Sri Lanka is enormous. Mr Bruni reiterated his precise questions about the resources allocated to the National Human Rights Commission, its access to the military camps, and asked for precise answers, possibly even yes or no answers, and information on the follow-up given to the recommendations of the National Human Rights Commission. Mr Bruni said that he had accompanied (as a member of the secretariat) confidential inquiry to Sri Lanka previously conducted by the Committee. He asked about the follow-up to the conclusions of that inquiry. As to the rehabilitation centers, it seems it is an offer that cannot be refused, as the only alternative is jail. He asked for recent examples of the Supreme Court’s case-law on the substantive compensation. Mr Mariño Menendez again inquired about the treatment of stateless persons and the protection afforded by the Sri Lankan authorities to the migrant workers particularly women in the countries of the Gulf and other countries. He asked about accessibility of the central police register. He asked about who is entitled to sign the interrogation warrant normally and pursuant to the Prevention of Terrorism Act. He also asked about the incommunicadodetention, the decision-making authority in this respect and its duration. Ms Kleopas declared that the fight against impunity was in the very heart of the Convention. Therefore, she questioned the approach of Mr Peiris that there was no problem in the lack of presence of a lawyer in a police station, as torture can be committed not only for the purpose of obtaining information. Ms Belmir returned to her questions about the independence of the judiciary in Sri Lanka. She said that it was not enough to issue a death certificate for a missed person, every case of disappearance should be investigated as to what has happened with the loved ones of those who applied for the issuance of death certificates. Ms Sveaass raised the case of the disappearance of Prageeth Eknaligoda, and that the Government promised the Committee to provide it with supplementary information about that case in October 2011. Ms Sveaass asked whether there would be a special programme of rehabilitation for women and children exposed to sexual violence. She declared that in order to move ahead those who are guilty should be held accountable. Mr Wang reminded the members of the Committee that there was no additional time available for their questions. He explained to the delegation that the outstanding questions might be answered in writing. He then gave the delegation twenty minutes to address the Committee orally. Mr Peiris started responding to the questions by tackling the issue of Eknaligoda. He said that Eknaligoda had taken refuge in a foreign country, and that the matter was being investigated. He pointed out to a huge window of opportunity for filing civil cases in tort against State. Civil cases may also be filed against the military. As to the issue of death certificates he fully agreed with Ms Belmir, and that autopsy and inquiry are indispensable in all cases of deaths from unnatural causes. As to the migrant workers, it is an important thing which is seriously addressed by the Government which at some point even considered stopping sending Sri Lankan female workers abroad at all. It is one of the thematic areas of the proposed national human rights action plan. Sri Lanka has a specialized ministry of foreign employment. Sri Lankan migrant workers working abroad are a valuable asset for their country. Mr Peiris conceded that reality might be different from high-flying jurisprudence. He said that amid all doom and gloom there were million good things in Sri Lanka. 6 000 people are arrested annually, and there are only 400 torture allegations. Mr Peiris assured that he was completely with the Committee that there is no room for torture, and that it should be brought to a minimum. He then went on to conclude. He said that contemporary terrorism was extremely sophisticated. That is why Sri Lanka needed special legislative response to the terrorist threat under the Prevention of Terrorism Act, given that ordinary law was completely impotent to deal with terrorism. Sri Lankans based themselves on the laws of the United Kingdom and India. Testimony in absence of a lawyer is admissible evidence only if it is given to a police officer of a particular rank or above. In any case, this evidence is to be tested in court for its voluntariness. Mr Peiris then cited extensively from the draft national action plan on human rights and promised to make that document available to the Committee. He repeated once again that prevention of torture was a special thematic area of that plan. He went on to criticize the report of the UN Secretary-General’s Panel on Accountability in Sri Lanka. He said that the Panel did not have investigatory powers, therefore, it scarcely possessed any objective information. The sole objective of the Panel was to advise the Secretary-General, its report itself qualifies that the material collected is unchecked and unverified. Mr Peiris questioned whether it is fair to base oneself on this report. Mr Peiris assured the Committee that the Government of Sri Lanka would take every bit of critique on board if that critique had been made in good faith. He explained that reports similar to that broadcast on Channel 4 are very convenient vehicle for ex-combatants seeking refuge in green pastures. However, many applications for asylum submitted by such individuals have been rejected in Switzerland and elsewhere in Europe. In fact, it is “economic asylum”, that is why this game is being played, in the firm submission of Mr Peiris. Mr Peiris declared that the Convention should not be exploited by the terrorists and mercenaries. In his submission, the Committee should focus on legal issues and should not let the Convention to be exploited by the terrorists. He thanked the Committee for their patient hearing. Mr Wang asked for supplementary written submissions. He added that the Committee would “not allow the Convention to be used by anyone including the terrorists”. He thanked the delegation of Sri Lanka. That concluded the examination of the third and fourth periodic reports of Sri Lanka by the Committee. The Sri Lankan delegation led by former Attorney-General Pereira skillfully avoided answering most concrete questions posed by the Committee. Instead of focusing their analysis, the Committee members frequently repeated themselves and went into unnecessary length. The Committee’s concluding observations are relatively detailed. It is important that the Committee chose not to isolate the human rights violations committed during the final stage of the armed conflict, but rather preferred to address, in rather firm and strong language, the demise of the rule of law in the country as a whole. The concluding observations, however, suffer from the same defect as the Committee’s review as a whole. Lack of focus did not allow the Committee to concentrate upon the most important institutional issues which lead to the problems in numerous other areas. All in all, this exercise – although somewhat useful in calling snake a snake internationally – has very little to add to the already ongoing debate within the Sri Lankan society as to the widespread phenomenon of torture, its root causes, and the ways forward to overcome this scourge. 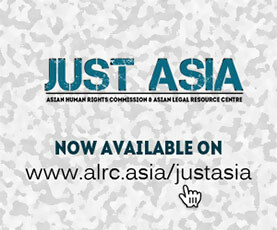 Put together by Sergey Golubok, representative of the Asian Legal Resource Center at the 47th session of the Committee against Torture, in November 2011 in Russia, Germany, and France. 1 President of the Committee (Chile). Dean of the Washington College of Law at the American University in Washington, D.C., United States of America. 2 Vice President of the Committee (United States of America). Director of the Jacob Blaustein Institute for the Advancement of Human Rights at the American Jewish Committee. 3 Member of the Committee (Italy). Former senior officer at the Office of the UN High Commissioner for Human Rights in Geneva. 4 Vice President of the Committee (Morocco). President of the Chamber at the Supreme Court of Morocco. 5 Rapporteur of the Committee (Norway). Senior Researcher and Head of Section for Refugee Health and Forced Migration at the Norwegian Centre for Violence and Traumatic Stress Studies in Oslo, Norway. 6 Member and former President of the Committee (Spain). Professor of Public International Law in Madrid, Spain. 7 Doc. CMW/C/GC/1 (23 February 2011). 8 Member of the Committee (Senegal). Prosecutor General at the Court of Cassation in Dakar, Senegal. 9 Member of the Committee (Cyprus). Former Cypriot career diplomat whose last post was High Commissioner of Cyprus in London. 10 Vice President of the Committee (China). Career Chinese diplomat, formerly Deputy Permanent Representative and Ambassador Extraordinary and Plenipotentiary of the People’s Republic of China to the United Nations and Ambassador Extraordinary and Plenipotentiary to the Republic of South Africa. 11 American lawyer, author of Why Terrorism Works: Understanding the Threat, Responding to the Challenge. 27 Ibid., para. 18 (a) and (c). 29 Ibid., para. 28 (b) and (c).